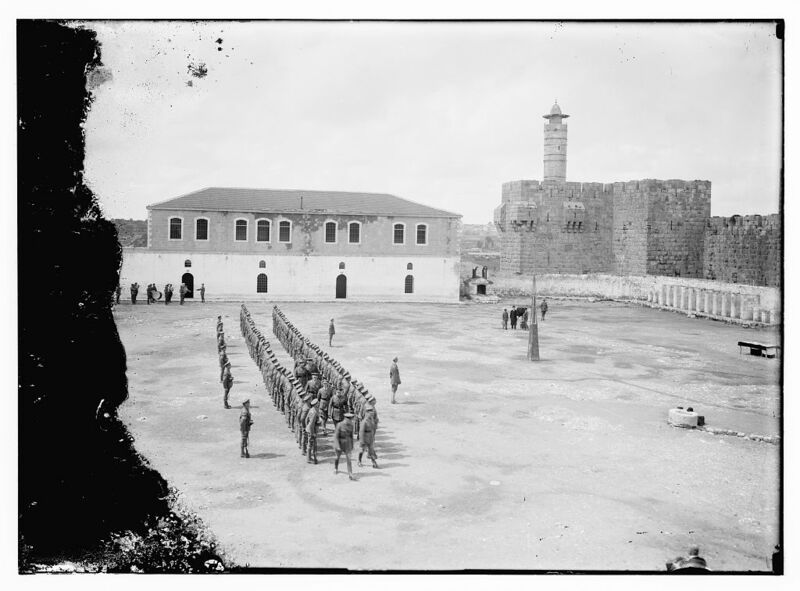 ﻿Part 1 of the King David Citadel feature, showing the Turkish control of the historical site, can be read by clicking here. 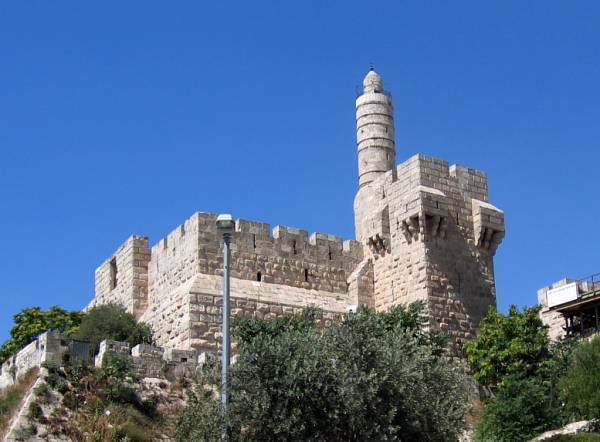 The structure is one of the most famous landmarks in Jerusalem, standing like a sentry at Jaffa Gate. But "King David's Citadel" as we know it certainly does not date back to King David's time. 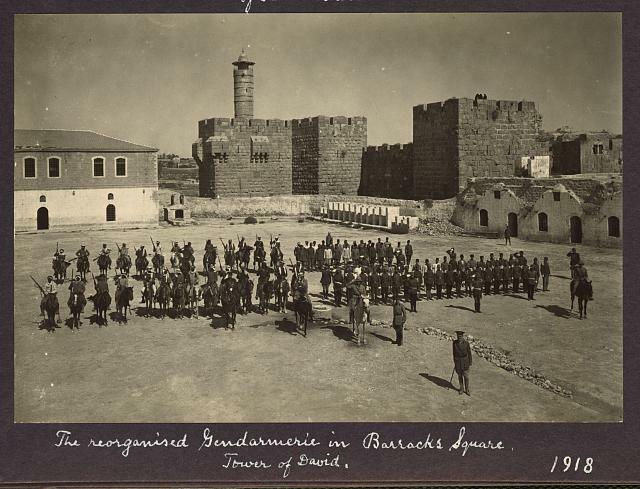 When the British Army defeated the Turks in 1917, they acted immediately to restore order in Jerusalem. 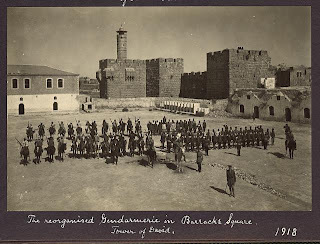 The tower, stronghold and police barracks (known as the "Kishle") were almost immediately used for the reorganized military police. The next photo depicts the "investiture" of honors and medals on General Edmund Allenby and individual soldiers. The pictures of the investiture ceremony bear the conflicting dates of December 1917 as well as March 1918. During the Arab Revolt (1936-1939), attacks were carried out against British facilities and Jewish communities. The Old City was occasionally "conquered" by Arab gangs who took control of the Old City gates. 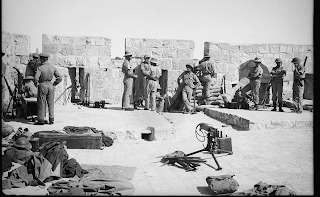 British military operations had to be launched to "lift the siege." 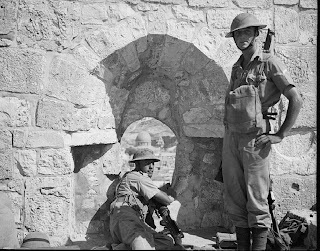 The following pictures show the "war-like scene on the roof of the Tower of David" in 1938.